Wigglians! Come out and plaaay! Thanks for downloading The Wigglian Way. We're back on schedule, tonight we start the show talking about some current events. 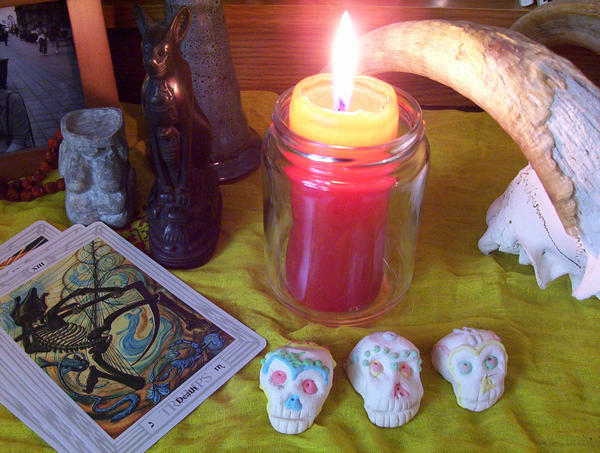 We end the show with a special guest; the Lovely Sarah joins us in segment #2 and shares with us not only her own journey on The Wigglian Way, but a simple Samhain recipe: Sugar Skulls. Tonight's musical features are selected from a recent purchase we just received from CDBaby. From Michelle Mays 2006 album Fire Leap , we here one of the greatest covers ever done, Gently Johnny, followed by Magic Weavers. From SJ Tuckers 2006 release, Sirens, we hear Go Away Godboy and Goddess. Please support these and other pagan artists. See ya for Episode 19-Samhain.